With its unique blend of romantic Victorian and industrial vibes - it's no wonder elements of Steampunk style are finding their way into mainstream fashion. While purists may not be happy about this, it does have its advantages for those who want to create casual, toned down Steampunk outfits that are more acceptable for work or even school. But in order to incorporate elements of the Steampunk style into your casual or 'everyday' wardrobe, it's important to gain an understanding of what the style itself really is. Now, the description of 'Steampunk' may vary - depending on who you ask. 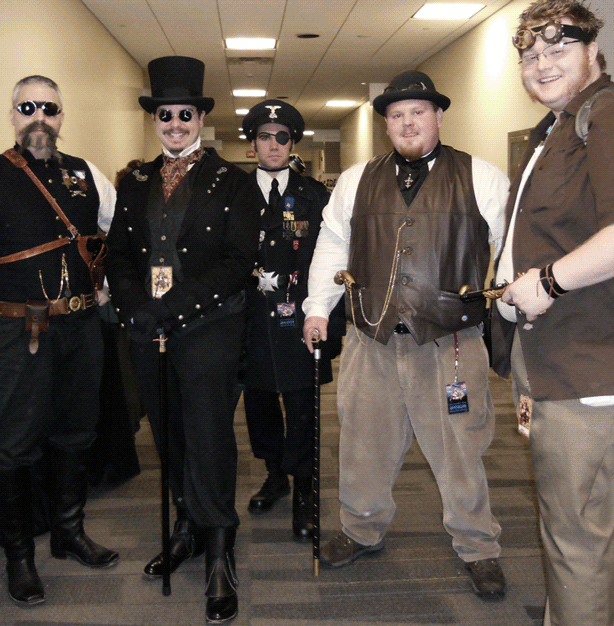 Some say Steampunk is less about 'style' and aesthetics, and more about an attitude or shared sense of core values, much like any other tribe. Interestingly, the term 'Steampunk' was actually coined to describe a genre of science fiction that typically features steam-powered machinery rather than advanced technology. But if you want to boil it down to aesthetics alone, Steampunk tends to fuse modern styles with influences from the Victorian era - such as petticoats, waistcoats, top hats, and corsets. But part of what makes the style so unique is its reliance on accessories and even props to help it come to life. These period accessories are what make Steampunk style truly unique and help to distinguish it from other alt fashion trends. 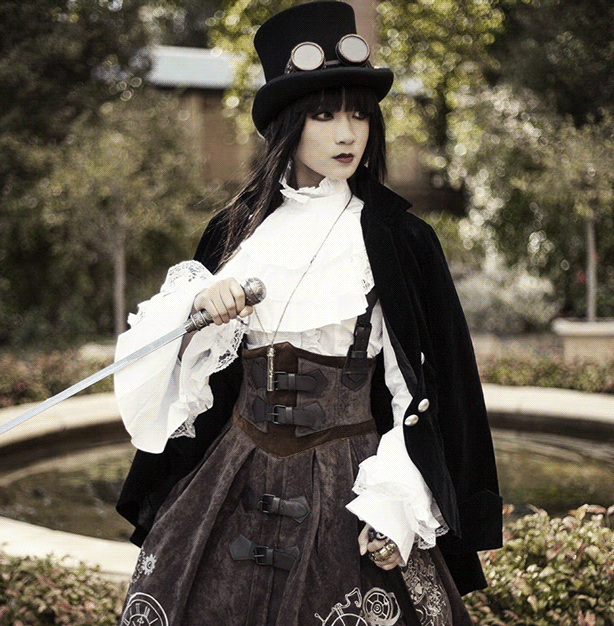 Outfits are often accessorized with 'period' style decorative pieces and props - such as Steampunk pocket watches, parasols and even flying goggles! It is because of this distinctiveness that we can take these recurring Steampunk themes and motifs, and transfer them to a more accessible, casual style. 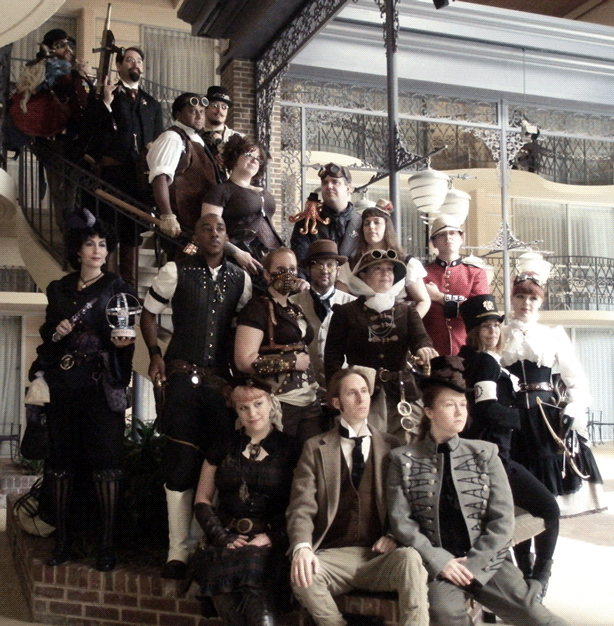 Taking the above description of Steampunk fashion as an example, if you want to create a more casual Steampunk style suitable for the office (or school), then combining modern style garments with more antiquated style pieces can work wonders. It's this wonderful juxtaposition between the modern and the old that gives Steampunk its signature look. Try pairing a high-collared blouse with a blazer, and a leather belt. Or, if you're feeling a little more ambitious, an underbust corset with leather and brass accents combined with a simple work shirt is an easy way to give your 'business casual' look a little Steampunk edge. If you want to create a casual Steampunk look, then a few carefully placed accessories can make all the difference. While you may not want to wear a pair of brass-accented flying-goggles to work, you can still find elements of this style in some gorgeous accessories. Due to the styles growing popularity, there's a whole host of stunning Steampunk jewelry out there, from independent designers and big brands alike. Try incorporating Steampunk jewelry into your regular wardrobe. 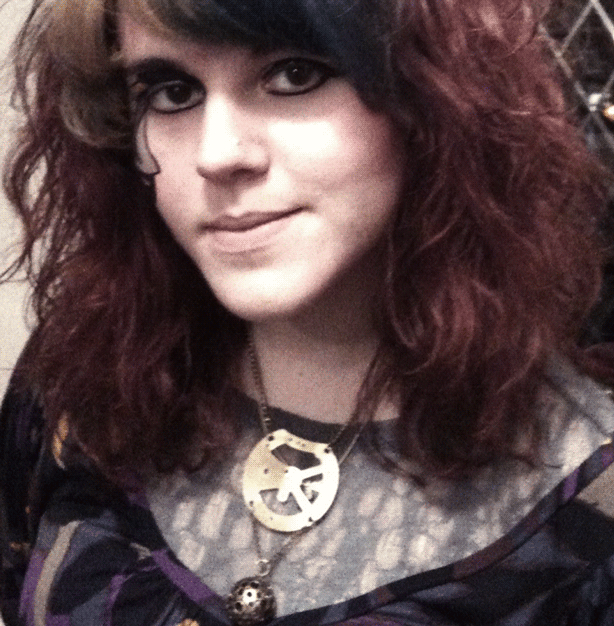 Something as simple as a Steampunk inspired necklace, or a statement antique brooch can work well. Since the Steampunk style takes a lot of its inspiration from the Victorian period, romantic and even 'old-fashioned' hairstyles are very much in keeping with the trend (and certainly won't look out of place at the office). To achieve a subtle Steampunk hairstyle, try curling your hair into barrel curls and opting for a 'half-up' do. Or if you're too busy to curl your hair in the morning, then some carefully placed hair accessories can help to achieve the same effect. Simply wear your hair down and straight, pulling half of it back and fixing it with an antique brass style hair clip. 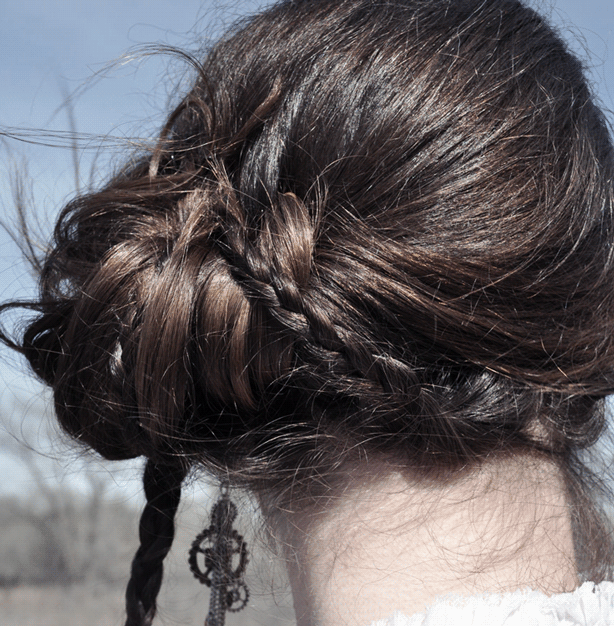 Or if you'd rather wear your hair up, a simple tight bun with a Victorian style hairpin (think brass or copper, with a couple of embellishments) through the center is still an effective way to achieve a toned-down Steampunk hairstyle. As mentioned above, if you're going for an understated Steampunk look, then the idea of incorporating props into your style can seem a little off-putting. But it doesn't have to be - if you do it right. Granted, you're not likely to be ok carrying a Victorian style parasol around the office - but you can easily take inspiration from the motifs and symbols that exemplify the Steampunk fashion, and make them your own. Symbols such as clocks, cogs, pistons, Victorian-style industrial and trade equipment (think scissors, forceps, tools and the like), maps and even typewriters are symbols generally associated with Steampunk outfits. Also, oddly, octopuses or 'sea monsters' are another symbol commonly associated with the Steampunk genre. It's likely that this stems from the styles' roots in science fiction and fantasy, and may be due to Lovecraftian influences on the genre (Cthulu comes to mind), or perhaps alludes to Jules Verne's 20 000 Leagues Under The Sea - which features a steam-powered submarine. Adding accessories, prints or even mobile phone cases decorated with these kinds of motifs is an easy way to give a subtle Steampunk edge to your outfits. As far as color palette goes, Steampunk can be bright and bold, or muted and subtle. But since Steampunk style draws most of its inspiration from Victorian fashion (and even elements of the American 'wild west') dark or earthy tones are very much in-keeping with the style. This in itself makes it easy to achieve a more understated look. Opt for dark or muted colors such as grays and browns to achieve a casual 'everyday' Steampunk style:. In particular, Steampunk clothes for men can be easily toned down for the office: a gray pinstriped waistcoat coupled with a fitted blazer and dark trousers wouldn't look out of place in a professional environment. Adding antiqued brass accents such as cufflinks and a pocket watch takes the style one step further, giving a visual nod to the Victorian era. How about you? Do you have a tip for creating a casual Steampunk look suitable for everyday? Please share it with us in the comments section.